Hannah Doherty-McMillan is a wealth adviser dedicated to serving the financial needs of her clients. With a solid background in providing quality investment advice, Hannah focuses on helping clients to preserve capital, manage risk, and deliver long-term investment returns across differing economic and market cycles. Hannah draws on the expertise of Dixon Advisory’s in-house Investment Committee, made up of some of Australia’s leading financial and investment professionals, to provide her clients with a local and global perspective in the management and growth of their wealth. “Our approach is to acquire a deep and practical understanding of our clients, their wealth, and wider circumstances. We then help families develop and implement their plans for lasting wealth and financial stability,” she says. Hannah joined Dixon Advisory as an Investment Analyst, working with senior advisers to assist clients, as well as having responsibility for a number of other projects within the firm. Her background and experience in investment advice allows her to assist clients in navigating difficult market conditions. Hannah has a Bachelor of Commerce, majoring in Finance, Financial Planning, and Accounting from Deakin University and is a 2016 Level I Candidate in the Chartered Financial Analyst Program. 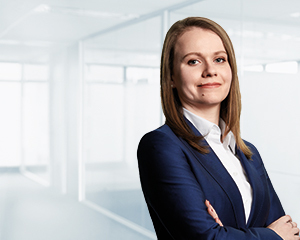 Hannah has also successfully completed her Regulatory Guide 146 accreditation through both her Commerce degree and the Diploma of Financial Planning from Kaplan.